The Seahawks and linebacker K.J. Wright agreed on a two-year, $15.5 million deal Thursday. 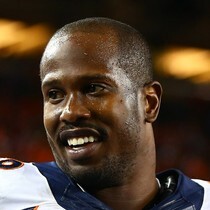 Wright hit the free agent market for the first time since he was selected in the fourth-round by the Seahawks in the 2011 draft. His time on the unemployment line didn’t last long, however, as he will be returning to Seattle for two more years. Wright missed 11 games in 2018 while battling a knee injury he sustained in preseason, then re-aggravated later in the season. 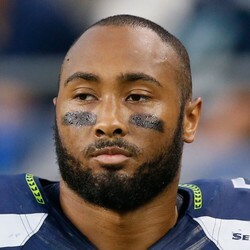 He was able to return for Seattle’s brief playoff run where he recorded eight tackles and one interception in the wild card round loss to Dallas. K.J. Wright finished Saturday's 24-22 loss to the Cowboys with nine total tackles, seven being solo, and an interception. Wright is an interesting LB for next season IDP owners need to keep in mind. 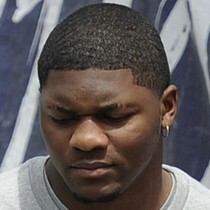 Missing a majority of the season with a knee injury, Wright could be a sneaky draft pick in deeper IDP leagues. He finished the regular season with 23 total tackles. 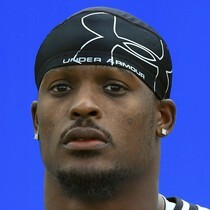 Seahawks linebacker K.J. Wright (knee) is not listed on the team’s final injury report, meaning he will return to game action for Week 16. Wright has missed the last five games with a knee injury but is good-to-go for Sunday night’s game against the Chiefs. He is expected to be on a pitch count, though. “When we make the playoffs I’ll be playing every play then,” Wright said, via Gregg Bell of The News Tribune. “I’m not used to it. I’m used to being out there all the time, but at the same time, you’ve got to be smart, got to listen to your body.” The Seahawks ruled out safety Tedric Thompson (chest) while safety Bradley McDougald (knee), cornerback Shaquill Griffin (hip), long snapper Tyler Ott (illness) and defensive tackle Jarran Reed (oblique/groin) are all questionable but expected to play, per head coach Pete Carroll. The Seahawks have listed linebacker K.J. Wright (knee) as doubtful for Thursday night’s game against the Packers. Coach Pete Carroll called him a game-time decision but he’s likely to be inactive. 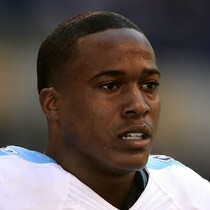 Wright, who has missed all but three games this season, aggravated a nagging knee injury in Sunday’s loss to the Rams. Shaquem Griffin and Austin Calitro are likely to see additional snaps in his absence. K.J. Wright will be back on the practice field next week, and is still on schedule to return to action in Week 8 against the Detroit Lions. The Seahawks' Week 7 bye is good timing for Wright, who seemingly needs just one more week to heal up. Barkevious Mingo can be cut if you need a roster spot.